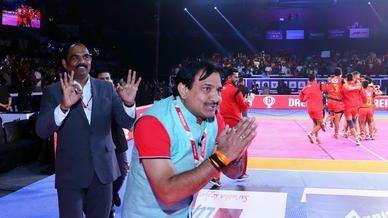 A second-straight Super 10 from Pawan Kumar Sehrawat against Telugu Titans helped his team to a 44-28 victory at the Tau Devilal Sports Complex in Panchkula on Tuesday. Bengaluru Bulls were off to a strong start courtesy of three raid points in his first two raids from Sehrawat and two points from the defence, giving the team a 5-2 lead. 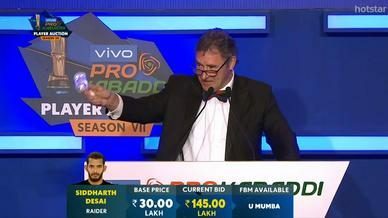 With the Super Tackle on, Telugu Titans’ Mohsen Maghsoudlou got a strong grip around Sehrawat’s ankles to bring the raider down and earn two points for his team. But their respite wouldn’t last long as Ashish Sangwan tackled Nilesh Salunke and Rohit Kumar earned his first two points of the night in a single raid to reduce Telugu Titans down to just a solitary man. Sangwan’s second tackle of the night inflicted the match’s first All Out on Telugu Titans to give Bengaluru Bulls an 11-5 lead. 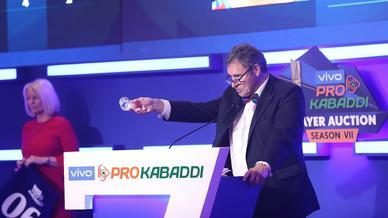 But Telugu Titans’ response was swift as Rahul Chaudhari scored the game’s first Super Raid and then followed it up with another raid point to reduce Telugu Titans’ deficit down to just two points. Two raid points coupled with a Super Tackle from Amit Sheoran on Farhad Milaghardan helped Bengaluru Bulls take their lead back up to six, but Maghsoudlou’s tackle on Sehrawat and three successive raid points helped Telugu Titans inflict the All-Out and level the score at 16-16. 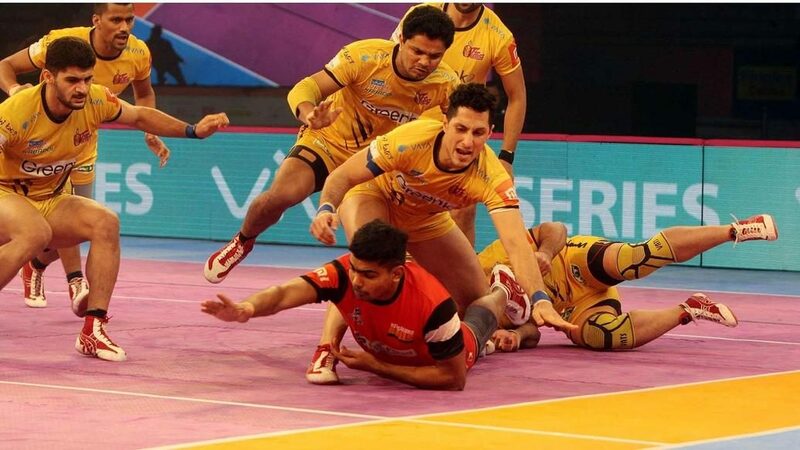 Post the All-Out, captain Rohit Kumar scored two touch points on either side of a couple of two-point raids to score six straight points and leave only one man on the mat for Telugu Titans, as the teams headed into the break with Bengaluru Bulls leading 22-16. 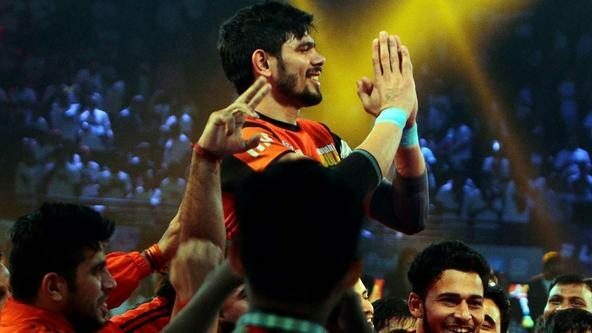 In the very first raid of the half, Bengaluru Bulls inflicted the All-Out and, in the following raids, Rohit Kumar and Sehrawat went on a scoring spree, in which they outscored their opponents 13-1. 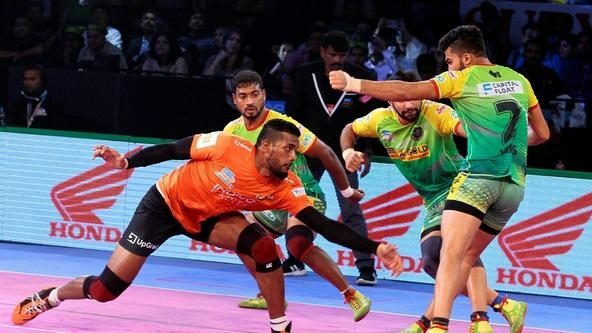 Sehrawat continued his solid performance, getting a touch point in back-to-back raids on both of Telugu Titans’ Corners, leaving them with just two men on the mat. But Milagardhan Super Tackled Rohit Kumar, which was followed by Chaudhari’s touch point on Sehrawat that completed his Super 10. Kashiling Adake’s touch point on Chaudhari reduced Telugu Titans down to just three and Sangwan then tackled Rakshith to inflict a third All-Out on Telugu Titans. Chaudhari continued to wage a battle against Bengaluru Bulls’ defence, adding three more points to his tally on the night, but the duo of Rohit Kumar and Sehrawat proved to be too good for Telugu Titans’ defence on the night, as both raiders added more points to their score, putting the game beyond their opponent’s reach. 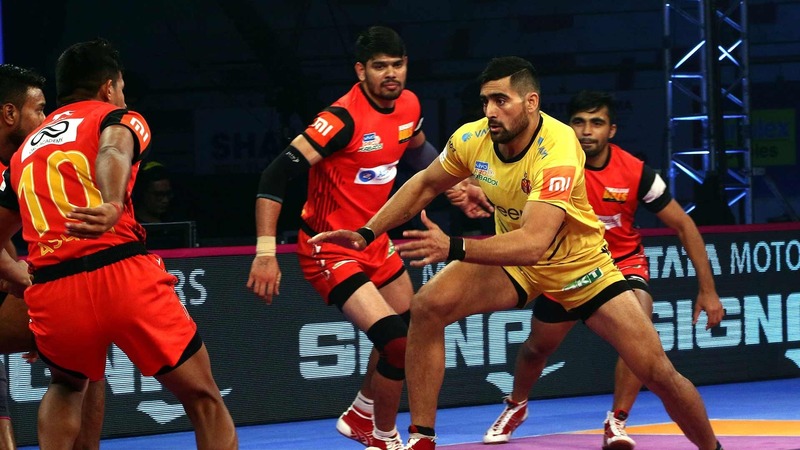 Rahul Chaudhari did manage to get the final point of the match with a touch on Mahender Singh, but it would prove to be just a consolation as Bengaluru Bulls secured a 44-28 victory and booked a berth in the Playoffs.